While many of us are just trying to tread water in the pool of life, others are doing deep dives and flips in it. These are the go-getters, the ones who want to lead instead of following. 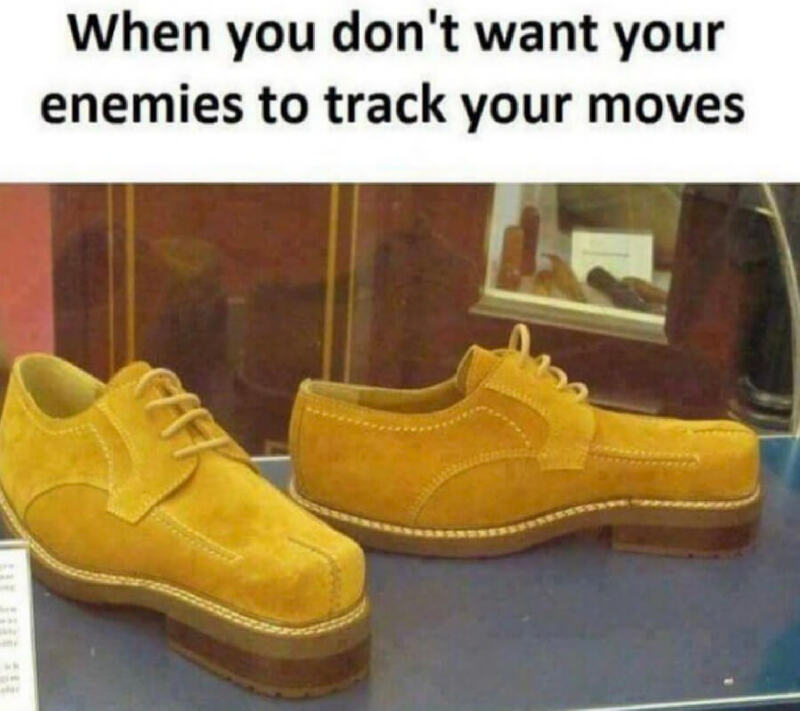 They look to stay one step ahead of everyone else, and they’ll do it by any means necessary. If they have to take a shortcut, they’ll take a shortcut. If they have to cheat, they’ll cheat. But no matter how they get there, they’re still ahead of us. This is the girlfriend of all girlfriends. She knows that her boyfriend will fall asleep within three minutes of The Vow hitting their screen. So, she decides to play a slight prank by swapping out the romance flick for a war game and cold beers. 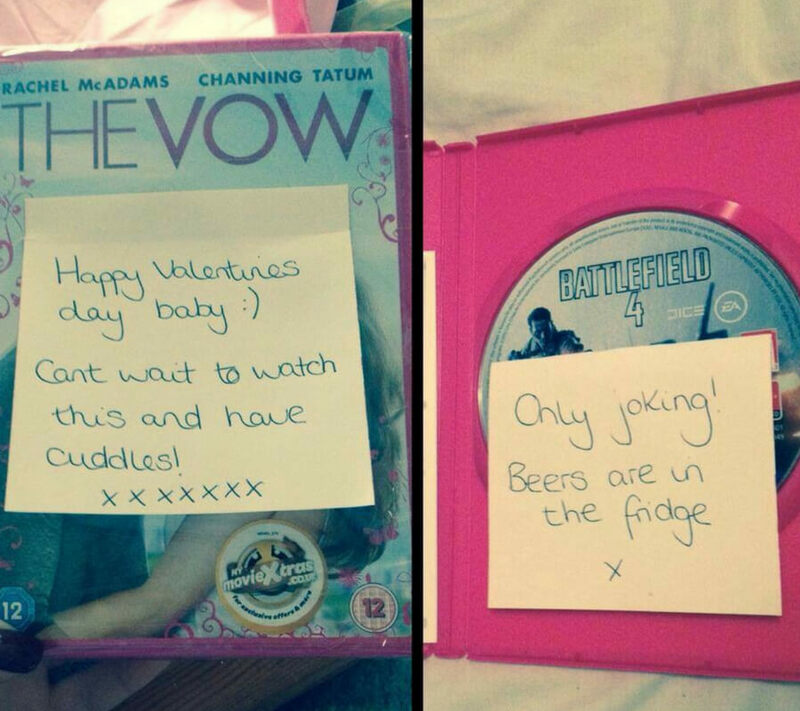 The standard has officially been set high for every girlfriend on Valentines Day. This license plate is very sneaky. 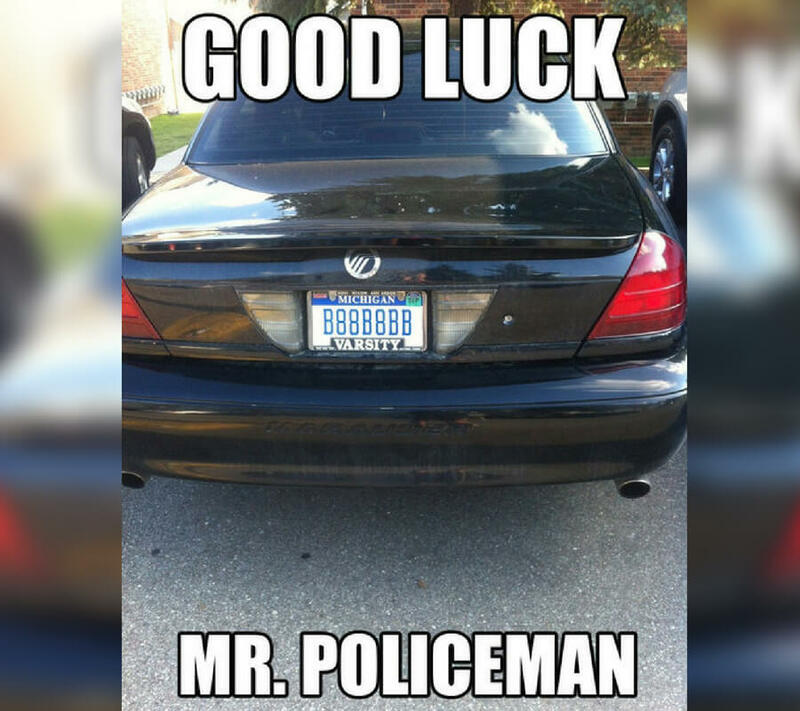 Goodluck to any police officer who is in a high-speed chase trying to call this plate in. They could walk up to it with a magnifying glass and still not be able to decipher whether it’s the letter ‘o’ or the number 0. This is a savage move, but one that deserves to get a lot of respect. 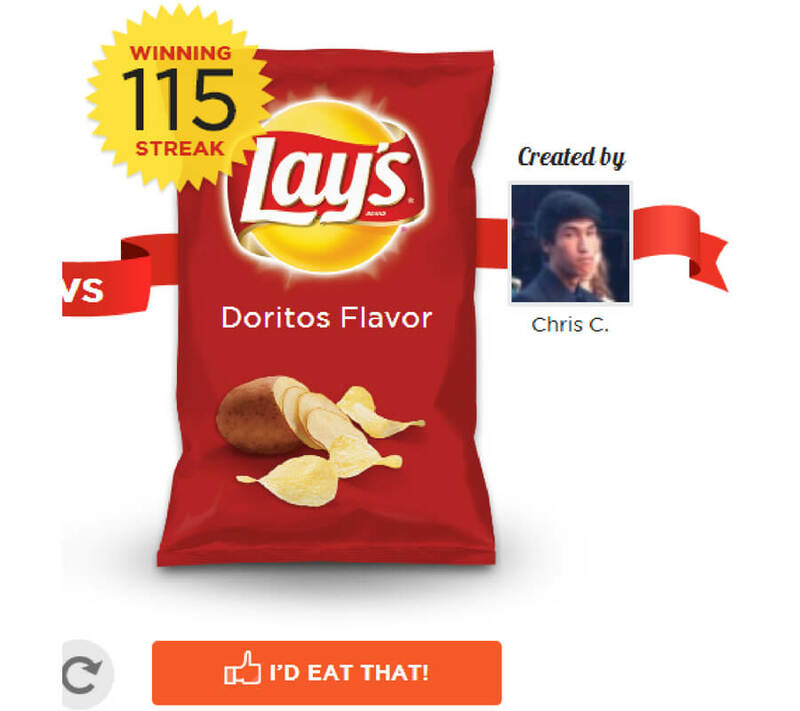 Telling Lays to make a Doritos flavor AND have it win the contest is brilliant. That would be like Pepsi having a contest and people voting to make it a Coca-Cola flavor. Truly magnificent. Once you hit your fourth year in college, you really stop caring about a lot of things. Going to parties in freshman year meant that you’d take two hours putting make-up on and figuring out the perfect outfit. 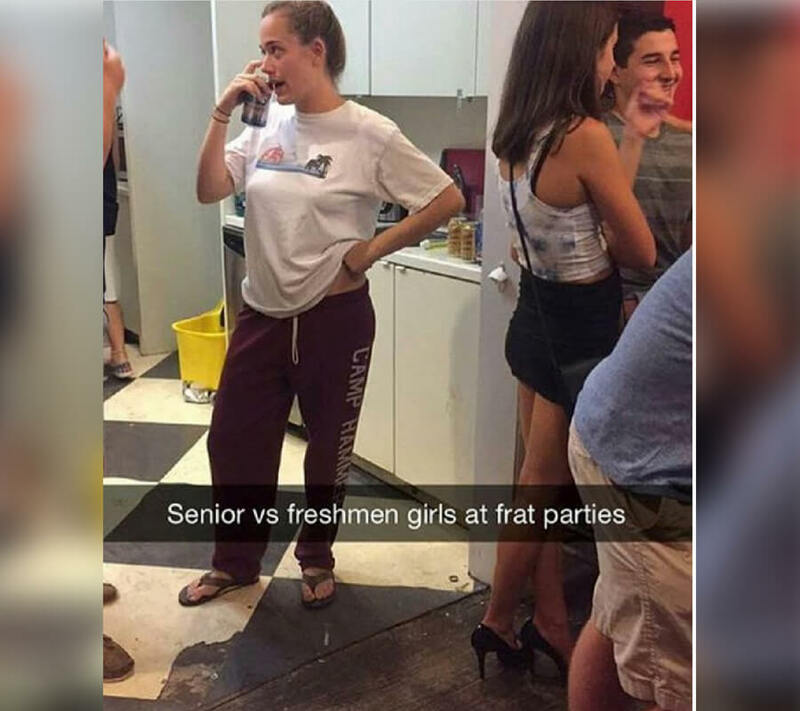 By the time senior year hits, people should be grateful that you even took the time to put sandals on before heading to the party. In order to get a good headshot without actually having to buy a suit, you need a team of people to work their magic. 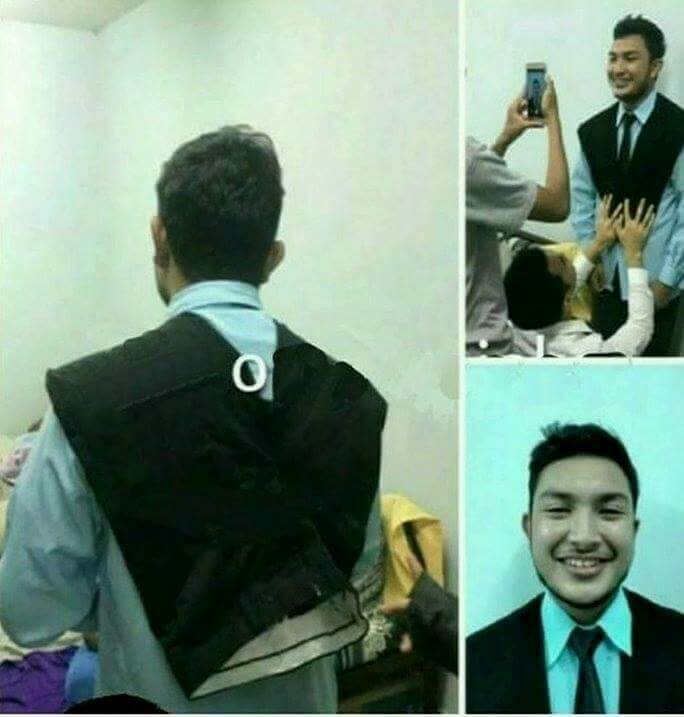 Suits are expensive, and if you only need it for a good picture, it’s not worth going out and buying one. Coming up, a dad that has his life and coordination together better than anyone you’ve ever seen. Oh man, this is like winning the lottery. Maybe even better. 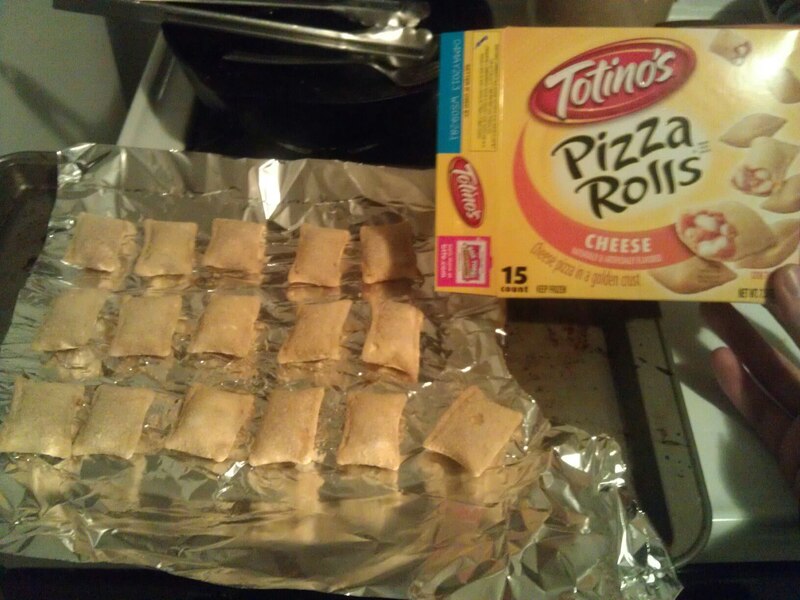 This lucky person bought a package of Totino’s Pizza Rolls (cheese variety) and probably just expected the 15 that the box promised. But look — the nice folks at Tostino’s included a bonus roll! That makes 16 pizza rolls for the price of only 15. We hope the recipient of this good deed paid it forward next time they had a chance. It’s impossible to have a social life AND go to the gym. Anyone who tells you otherwise is just ignorant and that’s a fact. 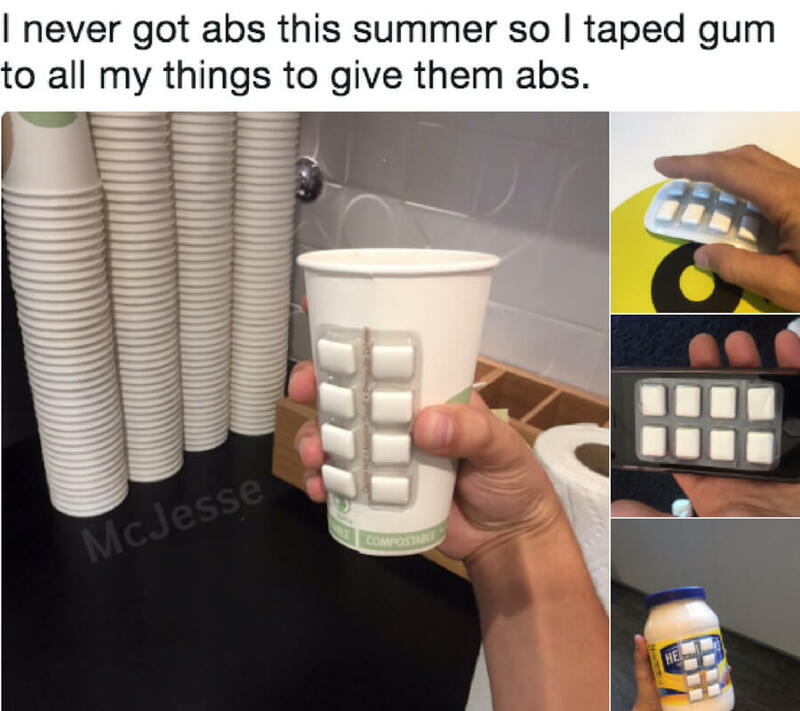 If you’re looking to maintain a social life while also having abs, there are shortcuts you can take to ensure the results you’re looking for. It’s important to be proud of your hard work. 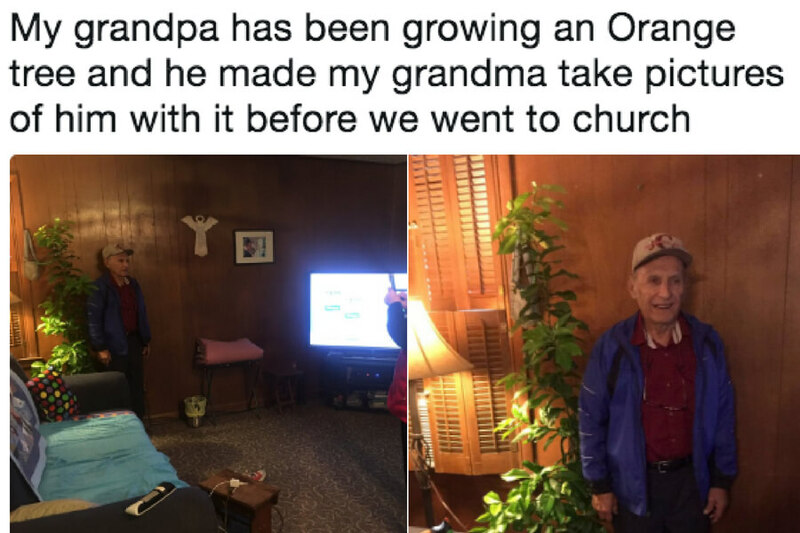 This grandpa is borderline cocky about how well he’s been able to grow this orange tree and it’s fabulous. It’s okay to feel the need to gloat your accomplishments like this grandpa is doing. It’s like looking at your kids grow up and knowing that you did a good job. Sometimes you need to pat yourself on the back. This man must be 600 steps ahead of us all because this type of coordination takes some serious dedication. 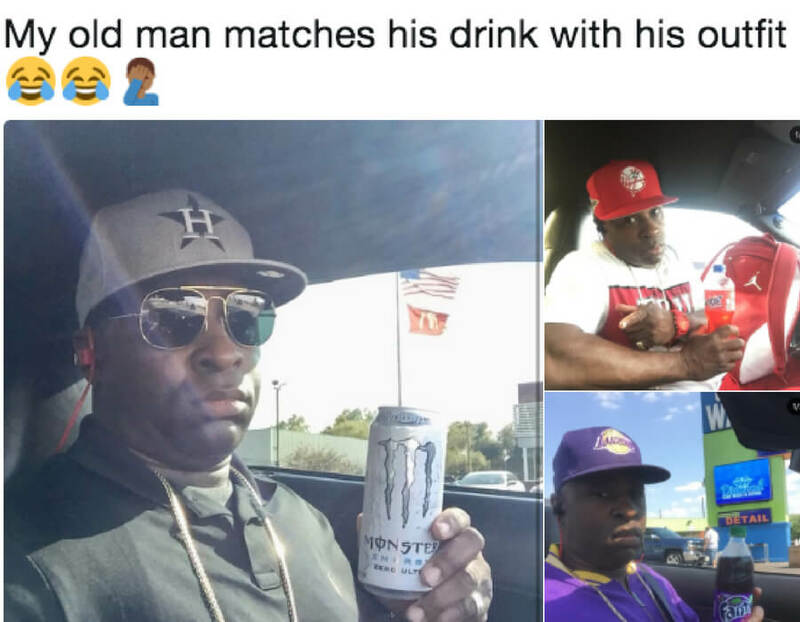 If you can match your outfit to the drink that you’re going to be enjoying that day, you have your life together more than anyone else. Coming up, a little kid builds himself a rooftop pool and it’s outrageous. This “screen peeking” causes more fights than anything else in the world. 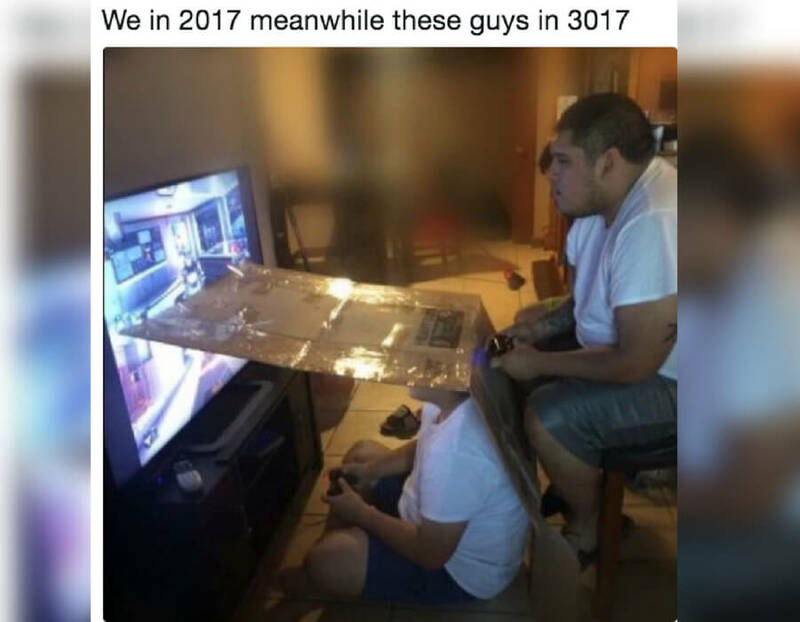 These two are living in 3017 because they’ve figured out a way to play split-screen with complete anonymity. 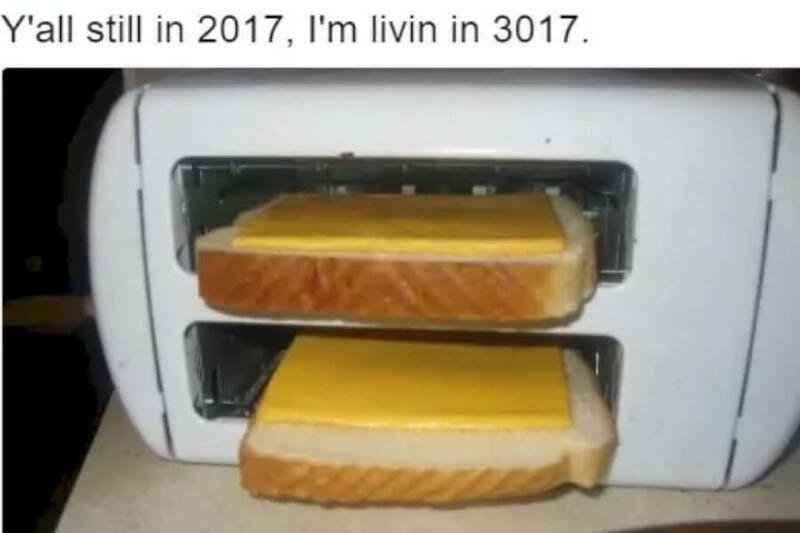 I don’t know what year this guy is living in, but let’s hope it’s VERY far in the future. 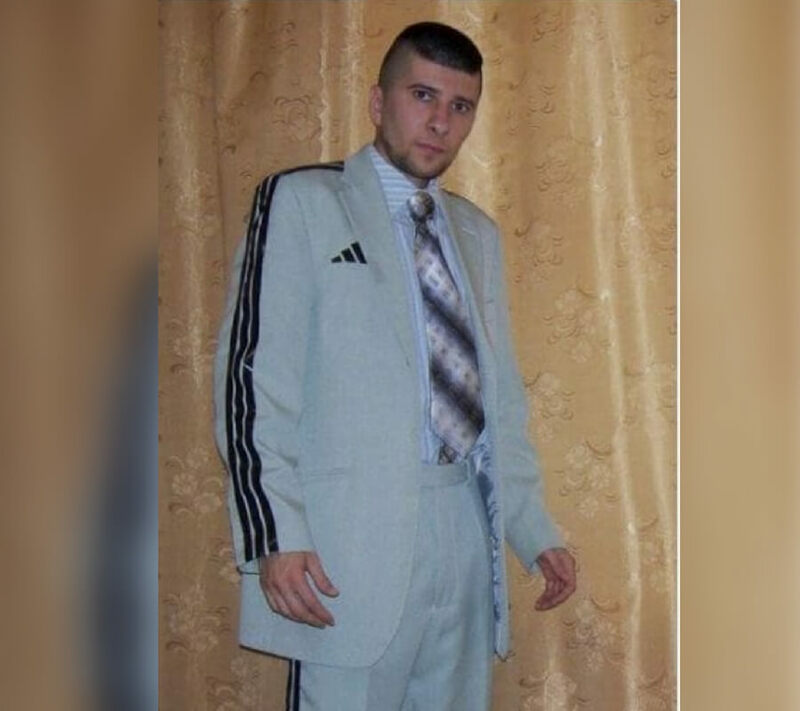 He looks like a Russian mobster going to prom. I wouldn’t be surprised if he just came home from a mass murder, threw this puppy on and asked for a quick picture. If you’re single and looking to give yourself an edge over your competition at the club, invest in something like this. It’s like a business card, but for dating. It gives your potential suitor everything they need to know about you without you drunkenly saying it while at the club. Impressive. Coming up, a redneck way to make a grilled cheese that will change your cooking game forever. I don’t know about you, but I think movie theater ticket prices are just too high these days. I want to support my favorite artists and all, but things have gotten out of hand at the box office. These people obviously thought so too. 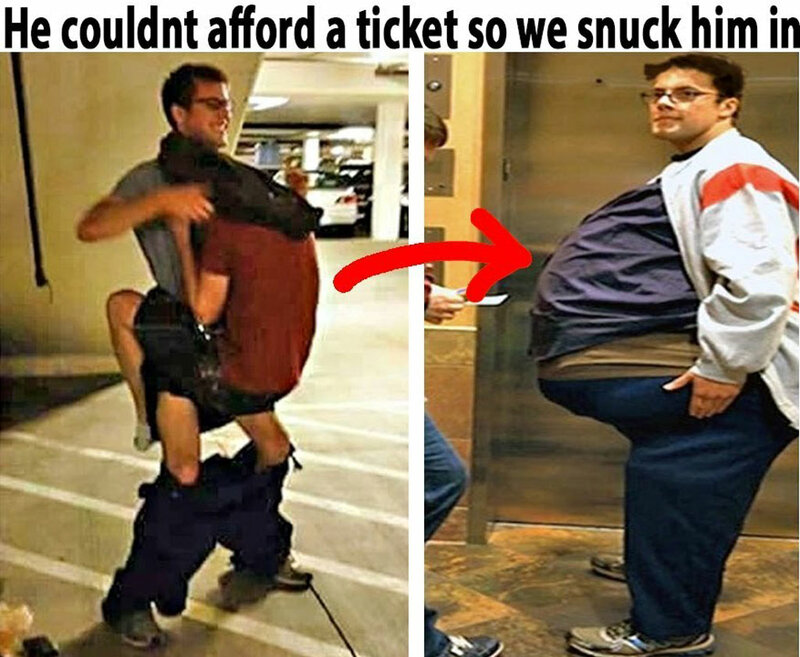 And they came up with a really creative way to get around buying a ticket for their broke friend. We just wonder how uncomfortable this must have been! I’m just going to come out and say it, but the person who invented coffee, in general, should be given a Nobel Peace Prize. Every coffee drinker becomes more enjoyable to be around and just overall happier after their cup of coffee. 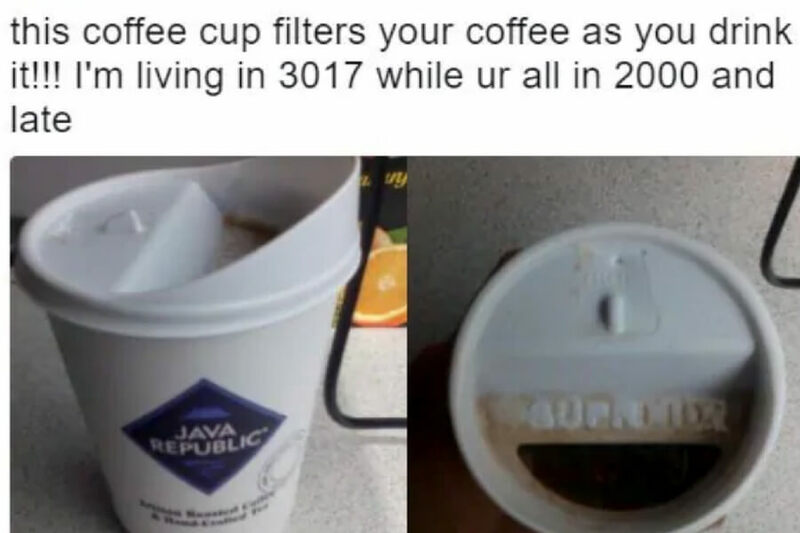 Therefore, it’s probably safe to say that coffee has prevented millions of confrontations that would’ve happened if it wasn’t for the caffeinated drink. If you see anyone wearing these shoes you need to report them immediately. There’s no way that anyone in their sane mind would put these on. The only person who would wear these is someone who has already or is about to commit a crime. It should be publically noted that the best way to make a grilled cheese sandwich is with a panini press. But, if you don’t want to spend the money, this little makeshift convection oven can do the trick as well. Can we just concede that cats are slowly taking over the world and we’re not even acknowledging it? 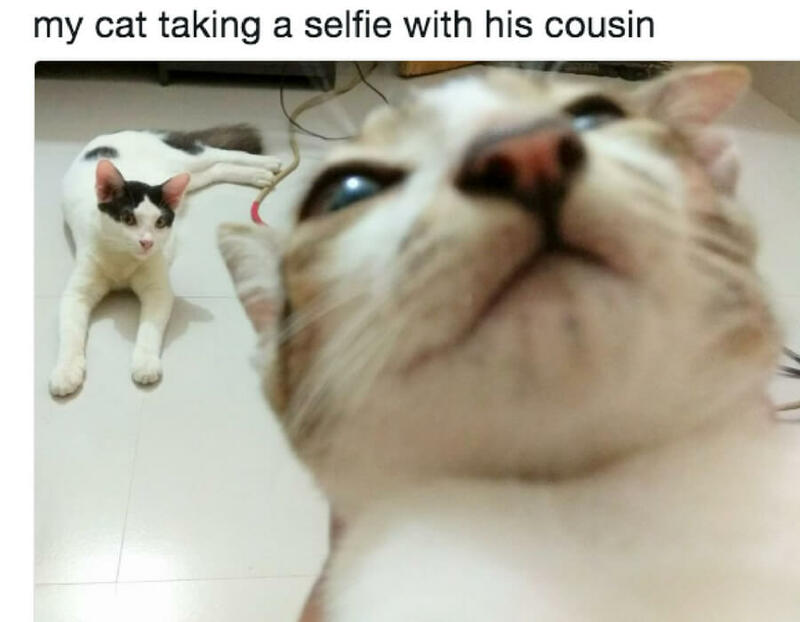 Cats are opening doors, they’re getting better at climbing and now they’re taking selfies. The end of time for the human race is coming quicker than we thought and it’s very uncomforting. Whatever you do, don’t let Kanye West see this picture because he’ll turn these into his next line of shoes. 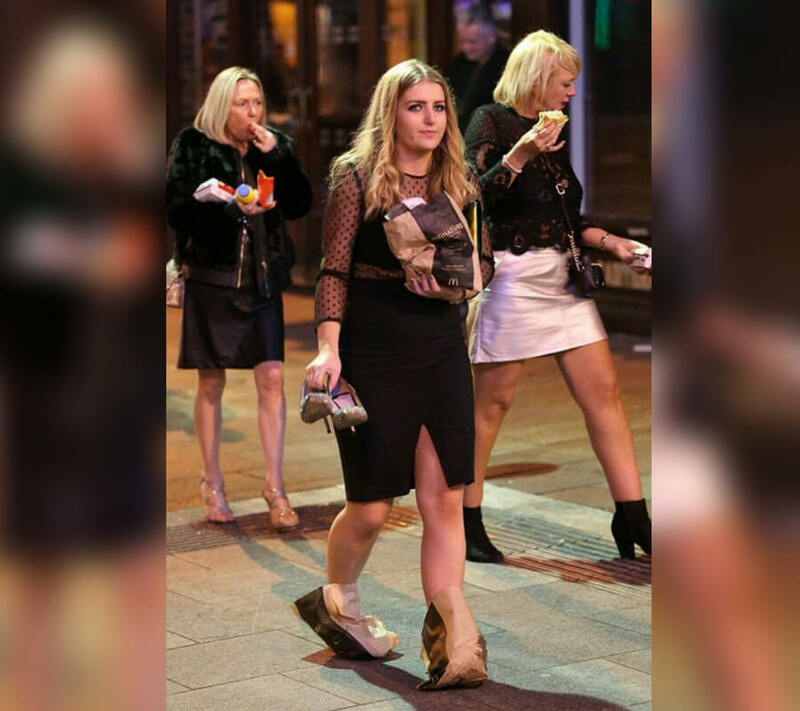 We’ll all be wearing fast food bags to the bar within a year because it’s “trendy”. Those bags are probably a lot more comfortable than those stilts she was wearing earlier on in the night. This person is clearly winning at life. The reason might not be clear at first. 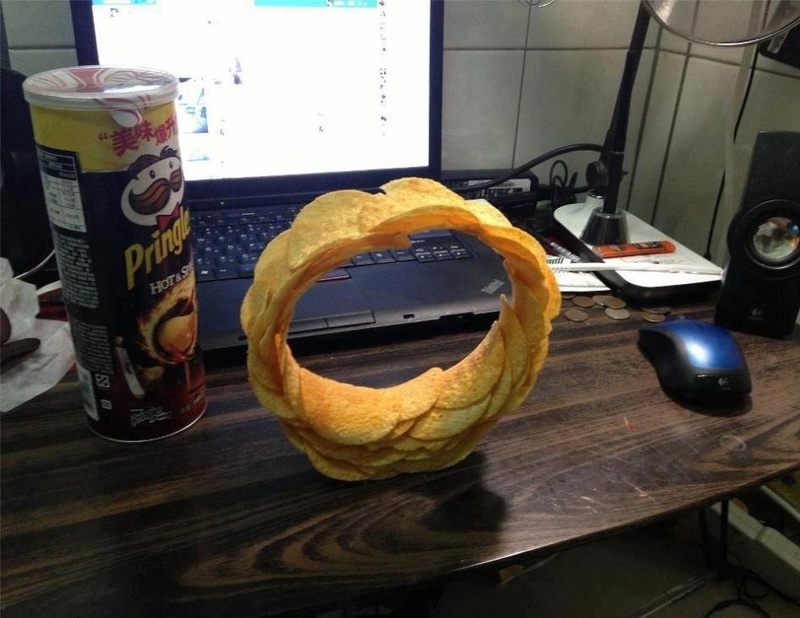 But if you think about it, this employee had enough free time on their hands at work to make a ring of Pringles while they were on the clock. Bonus: they now get to eat their special chipwheel. Extra bonus: it’s the “hot and spicy” flavor. If you haven’t tried these yet, you’re missing out. Ok, Ok, I realize that it’s really sketchy for this guy to use Craigslist in order to take advantage of people. But is what he did really that bad? 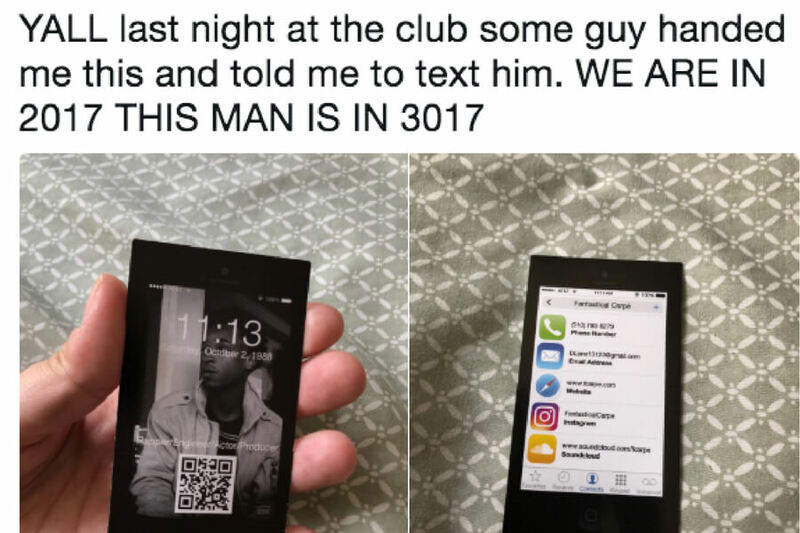 He wasted someone’s time, sure, but they got this funny story out of it at least. 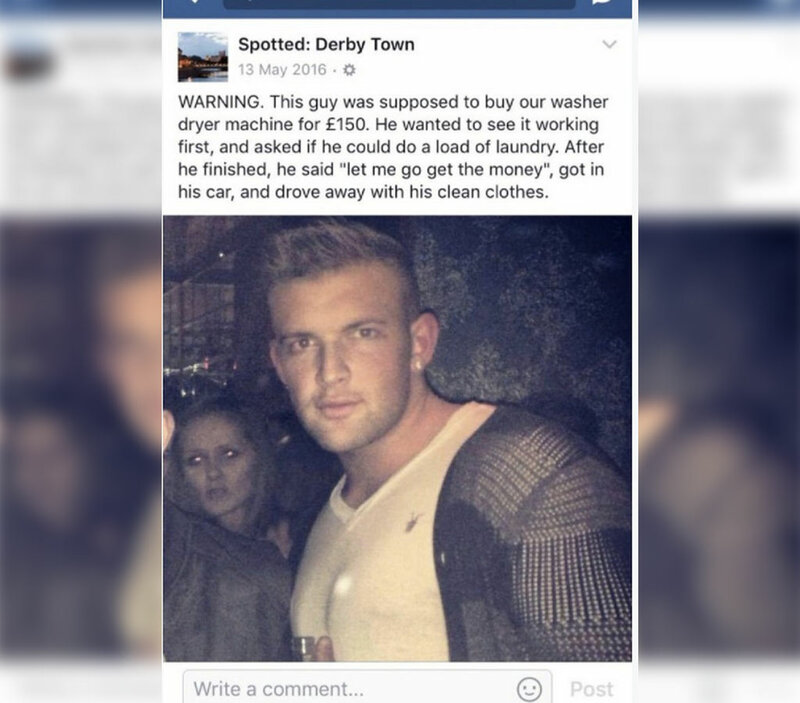 This is actually a pretty creative way to get a free load of laundry, if you don’t mind looking like a jerk and ending up all over social media for it.